Imagine living in a flexible and balanced body that is free of pain, stiffness and chronic stress. Imagine your body at ease with itself and able to adapt to life’s physical, mental and emotional changes. 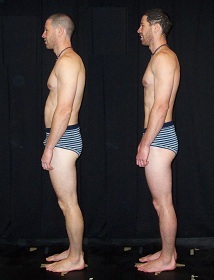 This is what you can expect from Rolfing® Structural Integration. If you think your body should feel better and move more easily, then Rolfing may be right for you. It can resolve pain and discomfort from many different causes, including those related to the lingering effects of accidents, illnesses, trauma, repetitive motion injuries, aging, and strain. Originally developed by Ida P. Rolf, Ph.D., Rolfing is a system of connective tissue manipulation and body education, which is focused on structural alignment and balanced movement. Unlike other kinds of modalities, Rolfing does not treat physical symptoms directly. Rolfer™ always looks your body as a whole, focusing on alignment, continuity, and relationship of each part of the body. The body is inherently a system of seamless networks of tissues rather than a collection of separate parts. These connective tissues, called fascia, actually surround, support and penetrate all of the muscles, bones, nerves and organs. Rolfing works on this web-like complex of connective tissues to release, realign and balance the whole body, thus resolving discomfort, reducing compensations and alleviating pain. Rolfing aims to restore flexibility, revitalize your energy and leave you feeling more comfortable in your body. What to wear: A bra and underwear or a two-piece bathing suit for women and boxers or briefs type of underwear or bathing suit for men. If this feels too revealing, please wear what you can feel comfortable: your comfort is the most important. You will be covered with a sheet while on the table. After completing basing Rolfing 10 series, periodic tune-up sessions can refresh this feeling of integration and remind your body of its most efficient balance. Gentle approach to release tensions deep inside and support the body’s self regulation. This work is very helpful to settle down and restore a balance of nervous system. Good as a follow-up of Rolfing 10 series, too. Integrating scar tissue into the fascial web by using gentle and light touch. Applicable to any kinds of scars, whether it is old or new. Improve range of motion, reduce itchiness, and smooth out the surface. Please consult for details. Nogiku BDG., #501,1-29-6, Takadanobaba, Shinjyuku-ku, Tokyo. With years of experience as an English-Japanese translator, I always enjoy providing sessions in English. If you are looking for an English-speaking Rolfer in Tokyo, I hope I could be of your help. Please feel free to contact me for any questions about this work.